We’ve learned that Pinterest has acqhired roughly 20 members of the Brigade engineering team. While Brigade only formally raised $9.3 million in one round back in 2014, the company had quietly expanded that Series A round with more funding. A former employee said it had burned tens of millions of additional dollars over the years. Brigade had also acquired Causes, Sean Parker’s previous community action and charity organization tool. 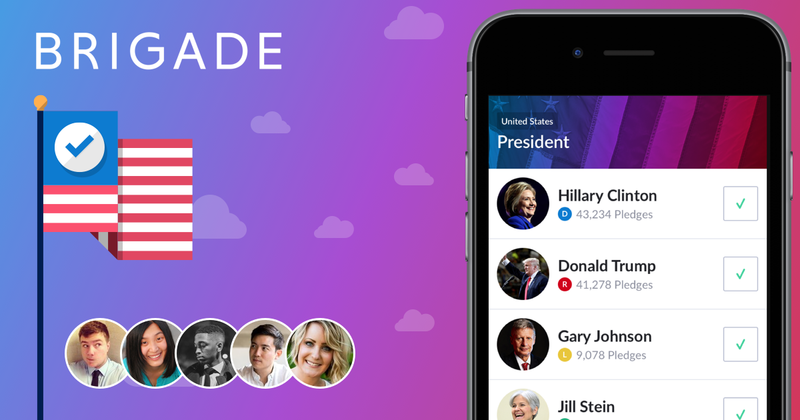 After Brigade launched as an app for debating positions on heated political issues but failed to gain traction, it pivoted into what Causes had tried to be — a place for showing support for social movements. Its expensive, high-class engineering team was too big to fit into a potential political technology acquirer or partner. Mahan, Brigade’s co-founder and CEO as well as the former Causes CEO, confirms the breakup and Pinterest deal, telling us “We ended up organizing the acqhire with Pinterest first because we wanted to make sure we took care of as many people on the team as possible. That’s about two-thirds of our engineering team. Brigade had interest from multiple potential acqhirers and allowed the engineering team’s leadership to decide to go with Pinterest. Several of Brigade’s engineers and its former VP of Engineering Trish Gray already list on LinkedIn that they’ve moved to Pinterest in the past few months.